On May 9 from 7 am to the end of the parade on the Red Square metro stations Okhotniy Ryad, Teatralnaya, Ploschad Revolutsii, Alexandrovsky Sad, Biblioteka Imeni Lenina and Borovitskaya will be closed for exit – these metro stations will only work for enter and transfer for other stations until the end of the event. Also in the morning, during delivery of military technique to the Red Square, exit from these metro sations will be limited: Mayakovskaya, Tverskaya, Pushkinskaya, Chekhovskaya, Lubyanka and Kitay-Gorod. Some limitations may occur after completion of folk festivals and fireworks , depending on the quantity of people, the entrance to the metro stations Park Pobedy, Kievskaya, Kutuzovskaya, Okhotniu Ryad, Ploschad Revolutsii, Arbatskaya of Arbatsko-Pokrovskaya line, Borovitskaya, Alexandrovsky Sad, Tverskaya, Chekhovskaya, Pushkinskaya, Kitay-Gorod, Lubyanka, Kuznetsky Most, Octyabrskaya radial, Park Kultury radial , Universitet and Vorob’evy Gory. 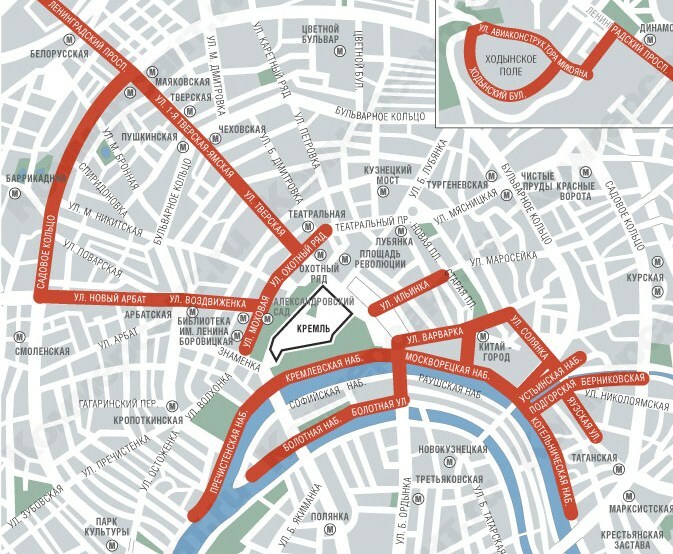 Before the end of the parade, several streets adjacent to the Red Square will be closed for pedestrians. Thus, the Tverskaya Street (from Manezhnaya Square to Pushkinskaya Square) , Manezhnaya Square , Kremlin Embankment, Moskvoretskaya Embankment, Big Moskvoretsky Bridge and others will be blocked. -the Garden Ring – from 12-00 to 16-30. 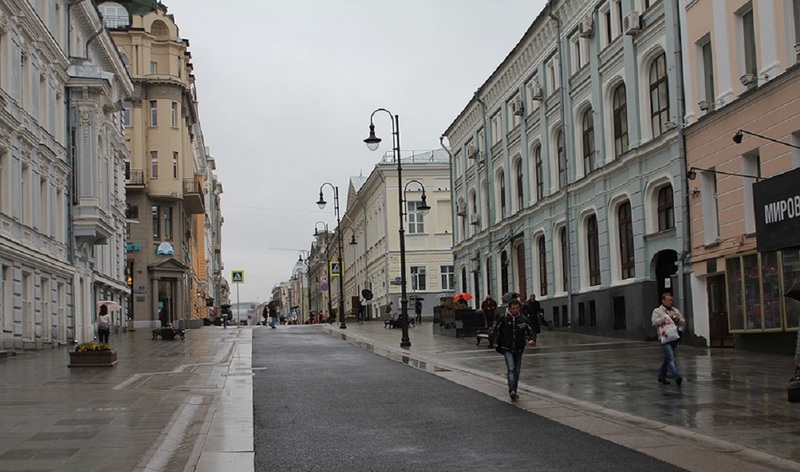 Recall that the parking in the center of Moscow will be free from 9 to 11 of May.